The actor's family joined in the celebration. 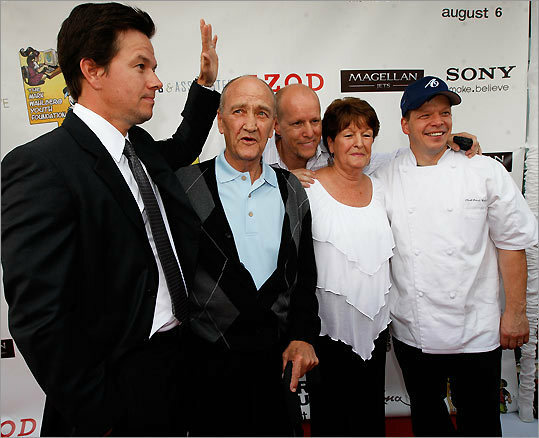 From left: Mark Wahlberg with uncle Arthur, brother Jimmy, mother Alma, and brother Paul. I was wondering, who was that one guy. So, that's his Uncle. Never a saw pic of his Uncle before. first time, see a rare photo of the Wahlberg kids.